TOP dancehall chanters Soul Jah Love, Killer T and Freeman have been accused of snubbing Kinnah’s birthday bash over the weekend. The trio’s absence is believed to have prompted part of the huge crowd to throw beer cans jeering off some of the chanters like Maggikal, Jah Child among others. Speaking through his manager Raymond Zishiri, the camp expressed disappointment with those who didn’t show up. “I was surprised why all the top artistes chose not to show up at the bash over the weekend. “I only got a call from Soul Jah Love who said he was travelling out of town for a show, nothing came from Killer T and Freeman. “This is disheartening because Kinnah has never missed any birthday bash invitation over the years,” he said. Zishiri said they will not offer favours to those who did not show up. “The idea behind these birthday bashes is to help each other as artistes and with them not showing up means we will not be attending any of their events as well,” he said. He however commended efforts of those who took to the stage at the successful birthday bash. On Saturday night, Mbare’s Netball Complex was packed to capacity with ghetto yutes who thronged the event in to Mr Mbare’s 26th birthday. 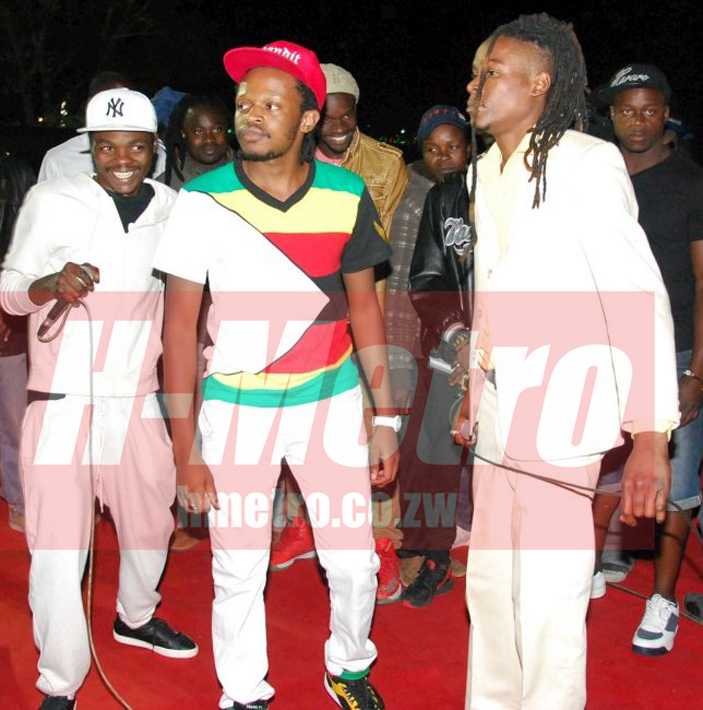 Seh Calaz, despite a busy schedule in Bulawayo and Gweru alongside Alick Macheso last Friday and Saturday, showed up and performed. The Mabhanditi boss, although his performance was short lived, delivered his best. “We have been working flat out in this game and we just want to get it going again,” he said. Hwindi Prezident feels the secret lies in working together as artistes. “We just need to continue working together as artistes and through that we can achieve anything,” he said. His popular signature tune “Tambirai monaki pamusika wembare, bag nderahwindi” made him the darling of many. Kinnah also took the time to launch some of his singles like Nzira Yangu, Samadzibaba, Munzira Yababa, Busy Samakanika among others.